The update to WhatsApp’s status message feature was spotted in an iOS beta version of the messenger. 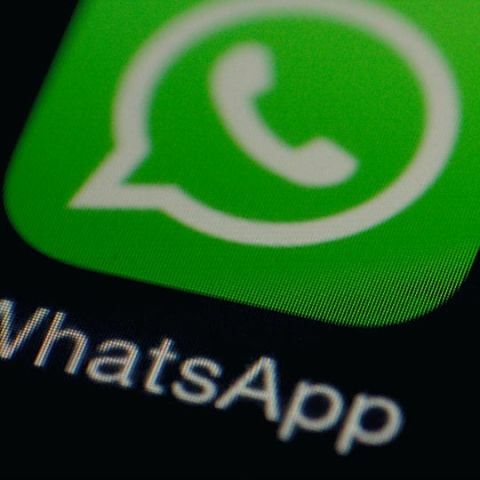 Facebook owned WhatsApp, with over 1.2 billion users, may soon borrow a leaf from Snapchat’s book. The instant messaging service looks to be working on a new feature, similar to Snapchat Stories. This seems to be a revamp to WhatsApp’s Status message feature, wherein users may soon be able to post videos and photos that disappear after 24 hours. The update was spotted on an iOS beta version of WhatsApp by WABetaInfo, a WhatsApp beta tester. 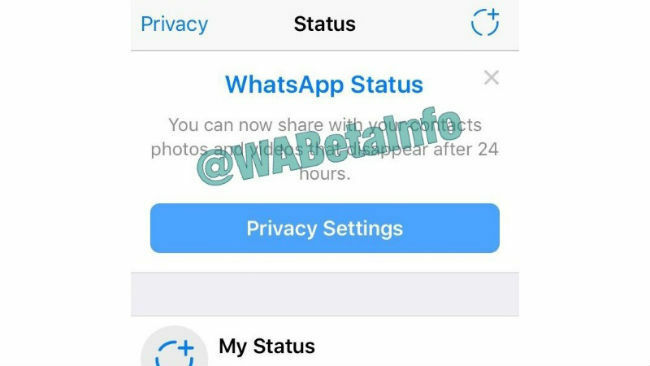 An image of the same was tweeted out by WABetaInfo saying, "Status introductory text updated in WhatsApp beta for iOS 2.17.4+.” You can see the update in the screenshot below. There’s also a Privacy Settings tab spotted in the image, which suggests that WhatsApp might give users an option to choose who gets to view their disappearing status messages. This is not the first time that Facebook has borrowed features from Snapchat for one of its platforms. Facebook had earlier introduced the Stories feature on Instagram as well. The feature lets users share multiple photos and videos in the form of a slideshow, apart from their regular posts. Each slideshows is dubbed as ‘Your Story’, and disappears after 24 hours, post which it does not appear anywhere on a user’s profile or grid. Snapchat and WhatsApp are two of the biggest competitors in the instant messaging space. In a bid to challenge WhatsApp’s gigantic user base, Snapchat had also rolled out a huge update to the platform, allowing users to place audio and video calls, just like WhatsApp. However, Snapchat has a long way to go before it catches up to WhatsApp’s billion plus user base. Snapchat reported 158 million daily active users at the end of 2017 before it filed its IPO as Snap Inc a few weeks ago.